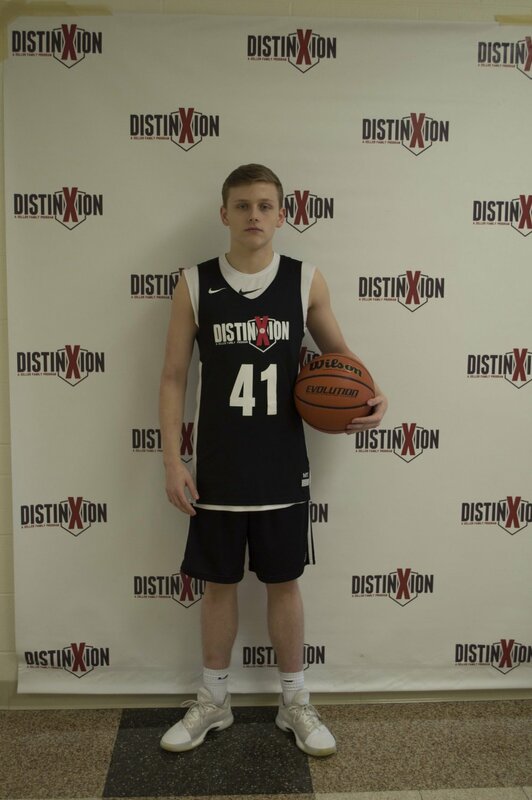 My name is Tommy Sutkowski and I chose DistinXion because I have been working out and training with them since 6th grade. I heard they were starting an AAU program and thought it'd be a great opportunity. In terms of my basketball career, I would love to start for my varsity team by senior year and win a sectional and state title. Also, I would love to play basketball in college. In school, I want to maintain a good GPA and stay at the top of my class. I am interested in studying biology in college, but my dream job is still being able to play in the NBA. Outside of basketball, I enjoy playing video games and hanging out with my friends.